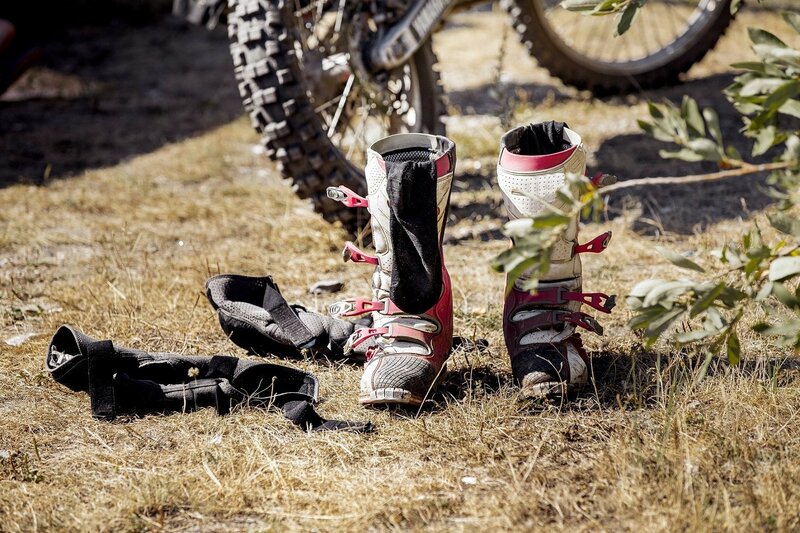 Looking For The Best Dirt Bike Boots For Trail Riding? 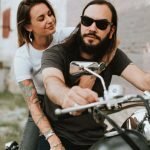 Here’s a look at our favorites, including our top pick – Forma FOADVBN45 Adventure Off-Road Motorcycle Boots. Anyone that’s done trail riding on a dirt bike knows that you need boots that are sturdy enough to offer protection and reinforcement, and comfortable enough to wear all day while you’re sweating under the summer sun. Cheap boots tend to offer one or the other, leaving you uncomfortable or prone to injury. 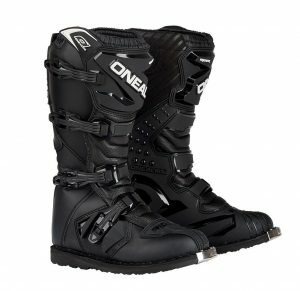 A quality pair of dirt bike boots is worth the investment if you’re going to be spending a lot of time trail riding. Upper material – leather boots tend to be more comfortable and breath better, and they’ll last forever as long as you take good care of them. Leather also stands up to heat and wear better, so you’ll often see a leather pad on the upper-inside of synthetic boots. When it comes to synthetic materials, there are good and bad options. High quality synthetics can be light, airy, and durable. They don’t require as much maintenance as leather, and they’re often much more affordable. Sole material – for trail riding, you’ll want a durable rubber sole with a moderate grip. 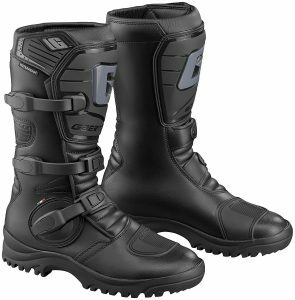 Protection – the primary purpose of dirt bike boots is to provide protection for your feet and legs. Look for boots with a sturdy toe box, hard shin shields, and proper padding around your ankles to prevent twists and sprains. If you’re looking for the cream of the crop, these Forma boots are for you. They look incredible, they’re built to last forever, and they pack more premium features than that Range Rover you were just ogling on Instagram. They come in black, but I’m definitely partial to the brown pair. Italian shoes have a premium reputation for a reason—they’re made by expert craftsmen, they use premium-quality leather, they’re built to last, and they always look classy. 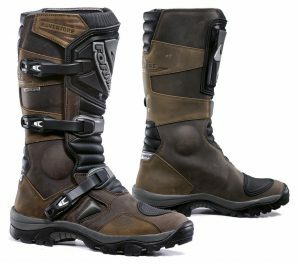 These Gaerne G-Adventure Adult Off-Road Motorcycle Boots are no exception. I wouldn’t exactly pair them with an Italian suit, but they’re a solid choice when you’re biking through the dirt, sand, and mud. If you’re looking for a premium, high-tech pair of boots that are synthetic rather than leather, this is hands-down the best option. 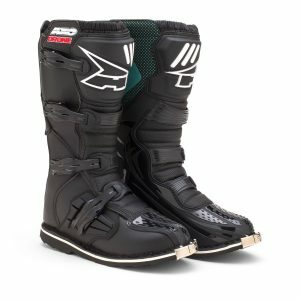 The Alpinestars Tech 3 Motocross Off-Road Boots are designed to be significantly more durable than leather boots without sacrificing the comfort that usually comes with leather. Even with their rugged look, these boots are surprisingly comfortable, and they provide killer support and protection. These AXO Drone Boots don’t have some of the extra support and protective features that some of the premium boots offer, but they’re built with top-quality materials that are hand-selected for their strength, weight, and value. You’ll notice the optimized plastics are thick where reinforcement and support are important and tapered in non-critical areas to reduce unnecessary bulk. Simply put, these are a rock-solid pair of trail riding boots that won’t break the bank. These boots are the best value on the list. O’Neal has been around for a long time, and there are a lot of professional athletes that trust their products to help them reach their peak performance. These rider boots are durable enough for trail riding, and comfortable enough to wear all day. As you’re trying to decide which pair of boots is the best for you, the answer will probably come down to two factors—the material you like best, and your budget. If you’re looking for premium-quality leather boots, go with the Forma boots and brag to your friends that you’re wearing the Ferrari of riding boots. If you want leather but don’t like the price tag of the Forma boots, the Gaerne boots are a good leather-based option that’s priced a bit more reasonably. 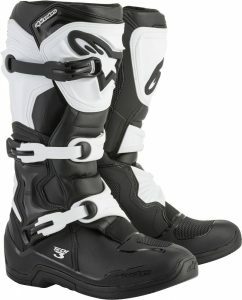 If you’re okay with synthetic material, I wholeheartedly recommend the Alpinestars for comfort, durability, and protection. If you’re on a budget, go with the O’Neals. They’re the most affordable boots on the list, and they don’t compromise your comfort or protection.